Macau does that to me. 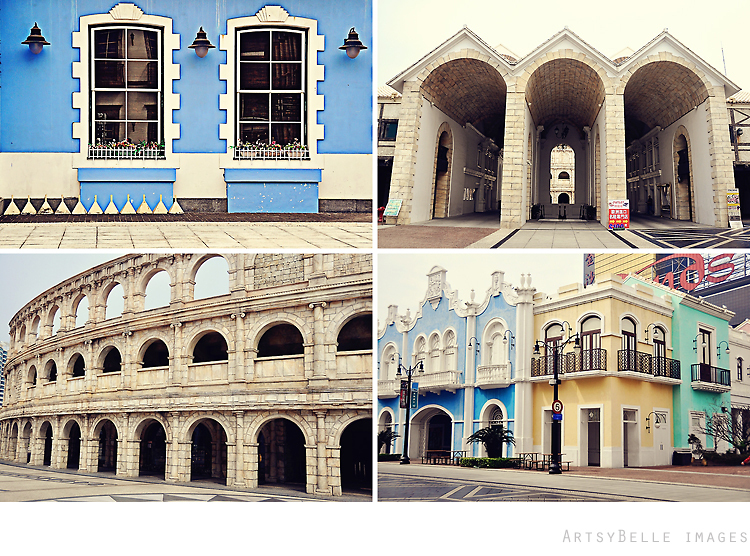 The place is laden with architecturally beautiful structures. The island is full of vibrant colors, sparkly lights, culturally rich heritage, and world-class shows in the casinos. Macau can be reached by taking a ferry ride from China Ferry Terminal, HK. The New World First Ferry destination is in Macau Ferry Terminal/Maritimo Terminal at Macau Peninsula. We tried to make the most of our day in Macau by visiting a theme park, casinos, and a heritage structure. Macau Fisherman's Wharf, Macau Peninsula. Ride in the Sand's Hotel free shuttle bus or you can choose to walk to the place because it is just a few meters from the Macau Ferry Terminal. The Sand's Hotel shuttle bus is parked at the right side of the Macau Ferry Terminal entrance. The Sand's Hotel is located across the Macau Fisherman's Wharf. The Venetian, Taipa. From Macau Fisherman's Wharf, walk back to Macau Ferry Terminal and cross the street (through an underpass) to look for The Venetian free shuttle bus. You can eat lunch at The Venetian food court for a wide array of choices. 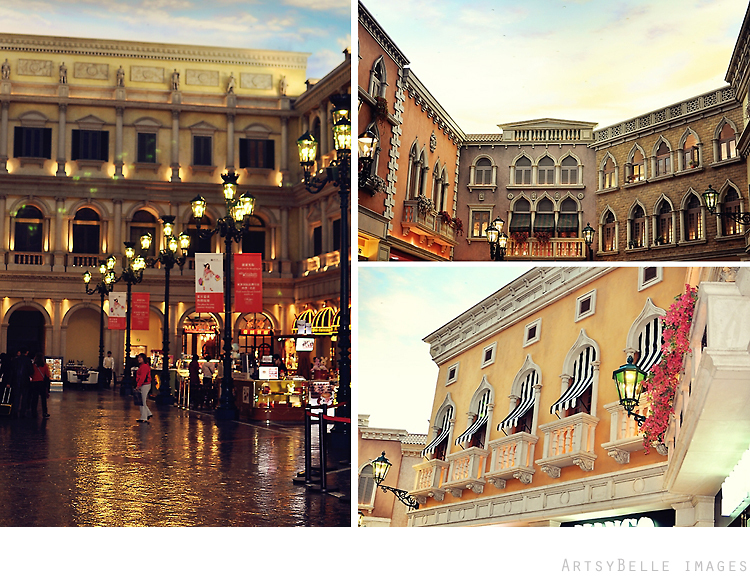 The Venetian is a big casino with a lot of shops, you can get lost without a map. Be sure to get a map, you can ask the concierge for help. City of Dreams, Taipa. Take a free shuttle bus to the City of Dreams from The Venetian. The bus is located at the parking area where The Venetian free shuttle bus drop off it's passengers. Be sure to watch the Dragon's Treasure show at the Bubble Place. The high-tech show is awesome. Request for the show's tickets near the Bubble Place. The show lasts for 10 minutes with a 30 minute interval. Senado Square/St. Paul's Ruins, Macau Peninsula. Take a taxi to the "square". You can show a map to the driver and point to the place you are heading. It costs 50MP for the taxi ride. The "square" is a very busy place during weekdays and especially at around 4pm onwards. If you want to avoid the hustle and bustle, going to this place in the morning is probably the best time. 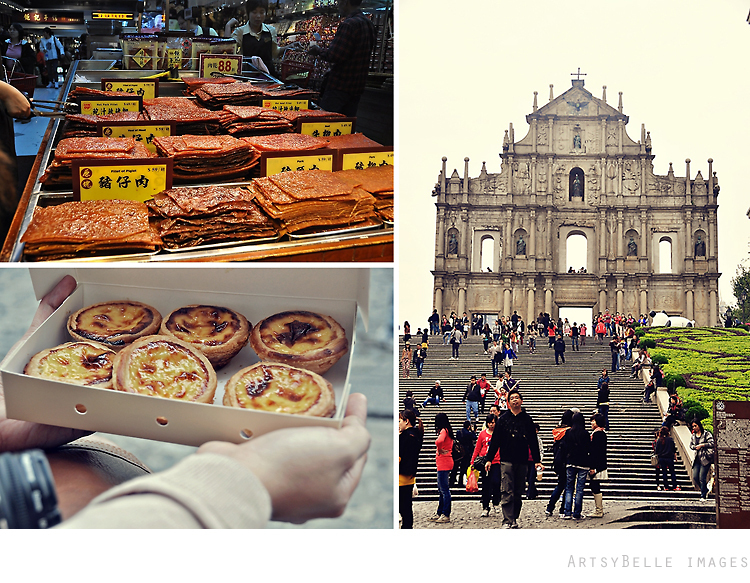 While there, be sure to try out the beef jerky and egg tarts sold at the shops along the narrow street towards the "ruins". Wynn Hotel, Macau Peninsula. From the "square" head on to the Wynn Hotel. Take a taxi at the taxi stand across the "square". You can end your trip at this hotel by entertaining yourself to a Dancing Waters show at the Performance Lake, Prosperity Tree show, and a Dragon of Fortune show. The Wynn Hotel has a free shuttle bus that can take you to the Macau Ferry Terminal. Such beautiful pictures, Bel! And I agree, I really like Macau - I never get why people say there's nothing to do and see there (except gambling!) - all you have to do is walk around the older neighborhoods! @Anna, thanks a lot. 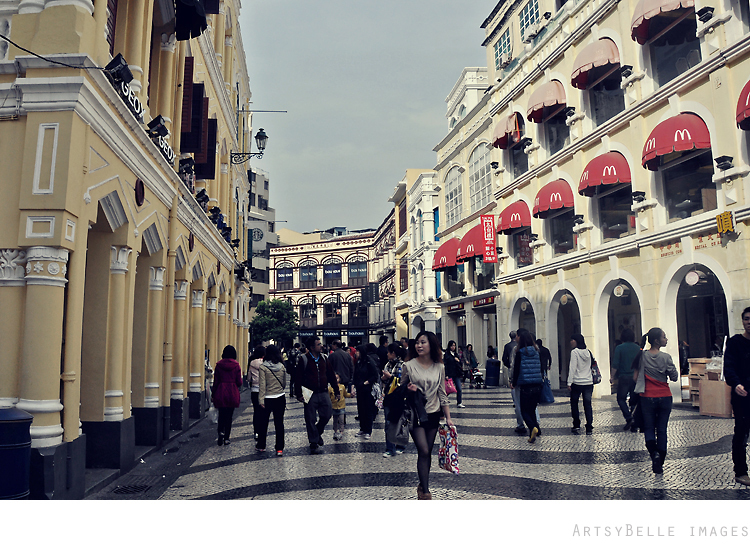 I miss Macau even when I wrote this post. I especially miss the tarts.